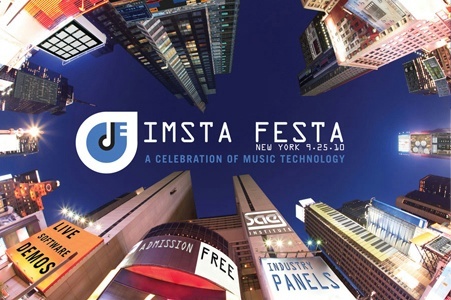 Image-Line is please to announce, we will be represented (by our US distributor) at IMSTA FESTA 2010. This celebration of music software is coming to the heart of New York City. There will be a dedicated FL Studio area with presentations and demos from specialists flown in for the event. Admission to IMSTA FESTA is FREE. All you have to do is register, attend and learn. Image-Line is being represented by our US distributor who will be flying in FL Studio specialists to demonstrate at the event. Don't miss this very special FREE event!